I read somewhere that you couldn't grill crab cakes so I decided that was enough of a challenge to try it myself to see. After a couple dismal failures and lots of wasted crab I was about to give up and agree that it just wasn't possible. They always seemed dry and fell apart on the grill. My dream of creating the best grilled crab cakes recipe seemed doomed. And then one day, as I was skimming through a new foodie magazine, I found another article on crab cakes and decided I should give this project one more try. I pulled together all my crab cakes recipes I could find and began picking out what I thought were the best bits from each one. Third times a charm. 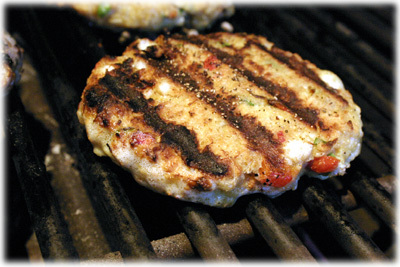 These crab cakes actually stayed together on the grill and they tasted absolutely awesome! 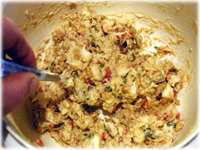 While I was at it I also developed this spicy lime mayonnaise to use as a crab cake sauce and also made this easy Old Bay seasoning recipe to use in the crab cakes for authentic Maryland flavor. So yes, you can grill crab cakes and they're fantastic. But if you don't want to grill them you can still cook these on your stove-top. Tip: serve these with this Spicy Lime crab sauce recipe here. 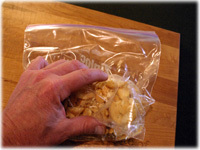 Put the butter crackers in a resealable plastic bag and carefully crush them until there's no big chunks left. 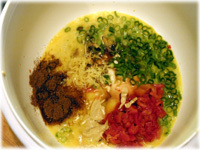 In a large bowl add the beaten eggs, chopped red pepper and green onion, Worcestershire sauce, Old Bay seasoning, lemon zest, Dijon mustard and Tabasco sauce. 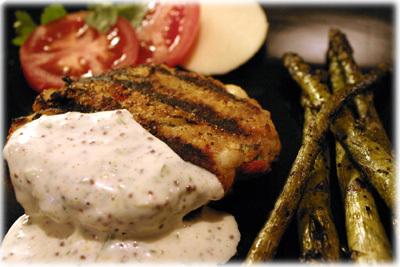 Combine these ingredients very well so the overall flavor is evenly blended throughout the crab cakes. 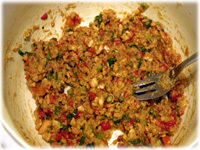 Add the finely crushed butter cracker crumbs to the bowl and stir well to combine. 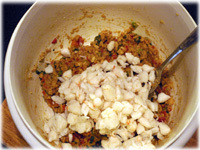 Add the chunk crab meat to the bowl. Add the mayonnaise to the bowl and carefully stir to combine. 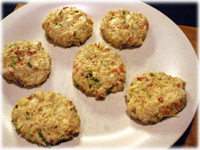 Form 6 crab cake patties using 1/4 cup of the mixture each. Refrigerate at least 1 hour so they firm up. Preheat the grill to 400F - 425F. 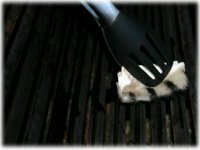 Fold a paper towel several times and hold it with your BBQ tongs. 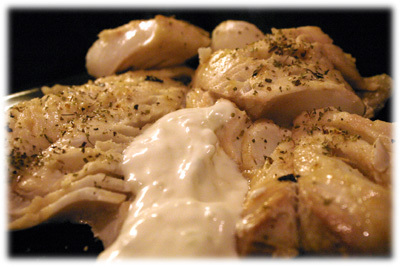 Dip the paper towel in cooking oil and carefully wipe the grates of the grill with the oil 5 or 6 times to coat. This helps prevent the crab cakes from sticking to the grill. 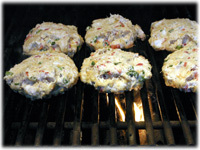 Brush the top of each crab cake with a little cooking oil, sprinkle with a little black pepper and place each crab cake oiled side down on the grill and close the lid. After 4 minutes lift the lid and carefully lift the edge of a crab cake with your spatula to inspect the underside. Holding the top of the cake with your fingers or a spatula carefully roll the cake over to the other side. 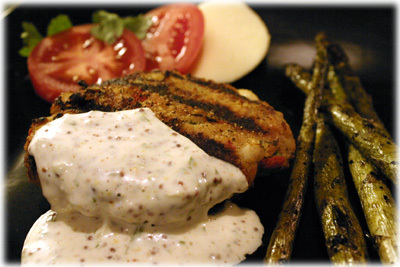 When cooked remove the crab cakes from the grill and serve with this Spicy Lime mayonnaise.